We are pleased to announce that renovations of the Safety House are coming to an end! Many changes have taken place over the last few months and we are getting more and more excited as we see completion in sight. So far, the kitchen has been installed, walls have been knocked down, the upstairs walls been built, the upstairs floor has been reinforced with extra beams for support, and most of the interior brick work has been completed. Easy Life Kitchens has sponsored the outfitting of the kitchen as well as the kitchenette upstairs. Cicle & Boyes sponsored the outfitting and decor for the pre-school, which includes: flooring, shelves, tables and chairs, painting, etc. We are so thankful for their generosity and willingness to partner with us in renovating the house! We are still expecting renovations to be complete by April/May and for the house to be fully operational shortly after! 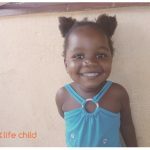 Life Child exists to reach orphan and vulnerable children and restore communities for generational change.